IHG® Rewards Club - Movies - Barney: Let's Play School! 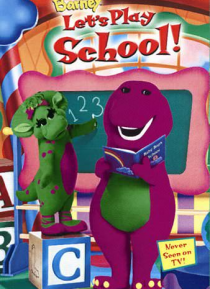 With a little help from Barney and a big imagination, the children enjoy a fun-filled day at "Baby Bop's School" where every lesson includes unexpected surprises. Join Ashley, Hannah, Robert and Jeff as they sing an alphabet song, read in Baby Bop's book center, eat macaroni and cheese, and bounce into gym class. When the day is just about done, settle in with Baby Bop and her "blankey" for an aft… ernoon nap. It's an unforgettable day of learning and laughter!